Stating a loss of Rs 254.47 crore to the district, local administration gave a detailed account of the drought situation to the Central team. NELLORE: Members of the inter-ministerial central team for drought assessment visited areas in Kavali division on Thursday and took stock of the drought conditions prevailing in the district. They said that a final report would be submitted to the Central government. Head of the Central Team Neeraja Adidam visited Jammalapalem, Siddanakonduru and also other areas in Kavali division. District Administration provided a powerpoint presentation to the team members about the drought conditions in the district. Chief Planning Officer PBK Murthy gave a detailed account of the drought situation to the Central team. CPO explained that the district received a loss of Rs 254.47 crore and of that agriculture suffered a loss of Rs 26.61 crore, Rs 96 lakh for horticulture and Rs 226.90 lakh for Animal Husbandry Department. He also said that there is a need for financial assistance of Rs 70.34 crore for the district to take up drought relief activity. 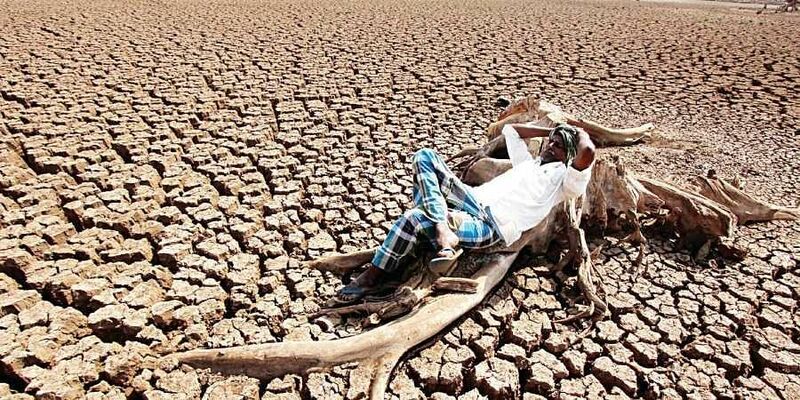 The state government had declared 46 mandals as drought-prone areas, he added. “There were no good yields for last four years in the district due to non-availability of water. Farmers in the district have failed to get Minimum Support Price for the crops in this period. Even some of the farmers have not raised crops using water from borewells due to plummeted groundwater level,” said Sivasekhar Reddy, a farmer from Kavali division. Another Farmer Krishna Reddy said that the farmers in the district have not got back their investment in the last Kharif season. Further, the team visited dried up crops in Kaligiri and in Siddanakonduru village and observed water levels in a local tank in Jaladanki mandal. They also interacted with farmers in Siddanakonduru and inquired about the actual situation of groundwater level. Rani Pramila, a dairy farmer explained the situation of dairy farming in the area and said that buffaloes are producing less milk due to the scarcity of fodder and non-availability of water in the area. Farmers also appealed to the central team to increase working days under NREGS from 150 days to 250 days keeping the drought conditions of the district in view. Farmers Association president Bollineni Venkata Ramarao explained about the hardships of lemon farmers in the district. District Collector C Harikiran sought the Central team Rs 274 crore Central aid to mitigate the drought situation in the district. The Collector said that the district suffered 50 per cent deficit rainfall during the Kharif season and 70 per cent during the rabi season.